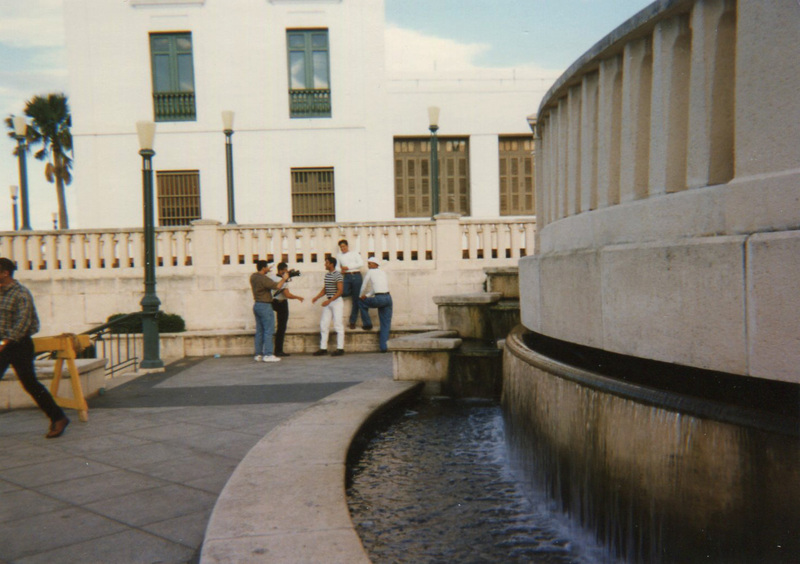 I lived in Ponce, Puerto Rico for a month in the winter of 1996. I was escaping the cold Wisconsin winter and looking to improve my Spanish by adding another accent to my repertoire. 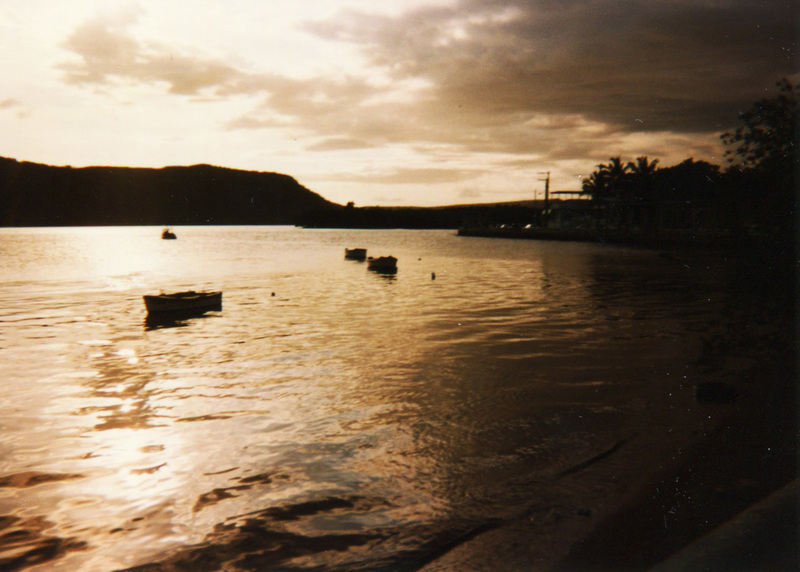 These photos, like my Ecuador photos from 1995, were also taken on disposable cameras. 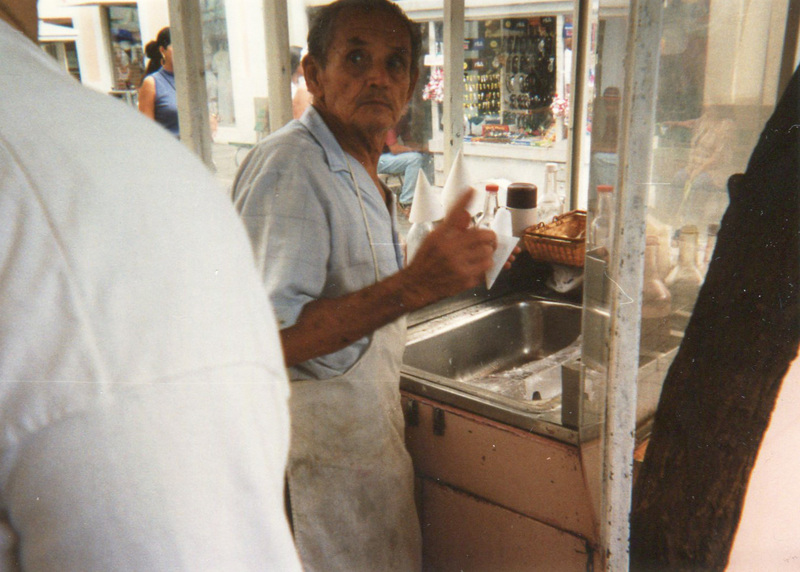 Snow cone vendor in Ponce. Notice the large block of ice to the right. He was chopping the ice by hand! Okay, this next one is just pathetic. Conceptually, I knew what I wanted (the whole other side of the island in one shot). But, I had no idea how a person would get there. I tried climbing really high on the other side of the island. Still not getting the whole thing. Wait! I will take a picture of each side and tape them together later. THIS STROKE OF BRILLIANCE CAN’T FAIL. I didn’t know what a panoramic picture was when I took this. All I knew was that I wanted the whole vista in the picture. I didn’t take into account the fact that the lighting would be different if you moved the camera. Let me end on a nice, calming Caribbean sunset. Next Next post: Who nose what he wants? !